Mary Kay Owens is and independent consultant who can affiliate with Leading Edge. 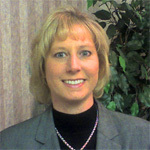 She provides services to government agencies, private health plans, academic institutions, health information technology groups, disease/care management companies, industry, and professional health care associations in areas such as disease management, pharmacoeconomic/outcome studies, pharmacy benefit management, claims data analysis, health information exchange, and Medicaid and Medicare reimbursement, policy compliance, and claims auditing. Mary Kay is a pharmacist by training and Affiliate Clinical Associate Professor at the University of Florida College of Pharmacy, Department of Pharmaceutical Outcomes and Policy and served as a consultant to the Florida Center for Medicaid and the Uninsured, a health policy analysis and research institute affiliated with the University of Florida College of Public Health and Health Professions. Ms. Owens also served on various Medicaid Advisory Boards and recently provided services to the Florida Medicaid Reform Advisory Commission and the Ohio Commission to Reform Medicaid. Ms. Owens formerly served as the Director of the 1.8 million member Florida Medicaid Drug Utilization Review (DUR) Program and served as a senior health care claims investigator and auditor within the Florida Medicaid Division of the Agency for Health Care Administration. She served a three-year term on the American Drug Utilization Review steering committee and formerly served as the committee’s national chairperson. Mary Kay routinely presents at regional, state, and national forums for Medicaid officials, legislators, associations, and advocacy groups. The topics include disease/demographic trends and utilization drivers in Medicaid/Medicare populations including the implications for states of the MMA Part D benefit. Other topics include medical and pharmacy data mining and analysis techniques used to conduct predictive cost modeling, health outcome studies, and develop targeted disease and case management strategies in public and commercial fee-for-service and managed care settings. She specializes in analyzing and interpreting the relationships between utilization patterns, access behaviors, and pharmacy and medical costs within various disease/demographic groups. In addition, she routinely presents to national audiences on healthcare reform initiatives, medical services utilization and care patterns, reimbursement policies, pharmacy benefit management, strategies to address uncoordinated care, fraud/abuse, and disease/case management program development and implementation using advanced HIT/HIE tools. Mary Kay authored “Medicaid Pharmacy Benefit Management” published in the book. Managed Care Pharmacy Practice, in nationwide distribution. She also authors health care policy issue briefs on Medicaid/Medicare, pharmacy journal articles, and provides content for CD-ROM educational products and Internet sites.